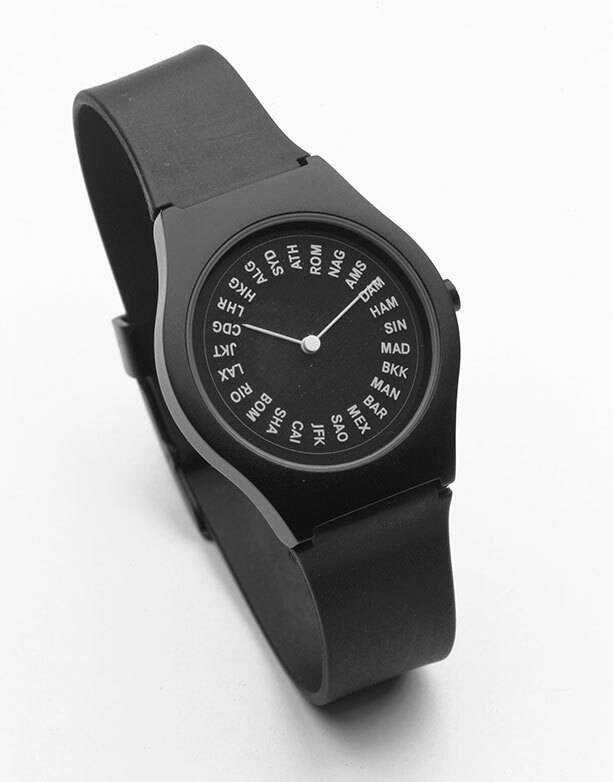 Battery operated wristwatch with moving face/dial, aluminium case & buckle, Japanese movement, PLU strap. 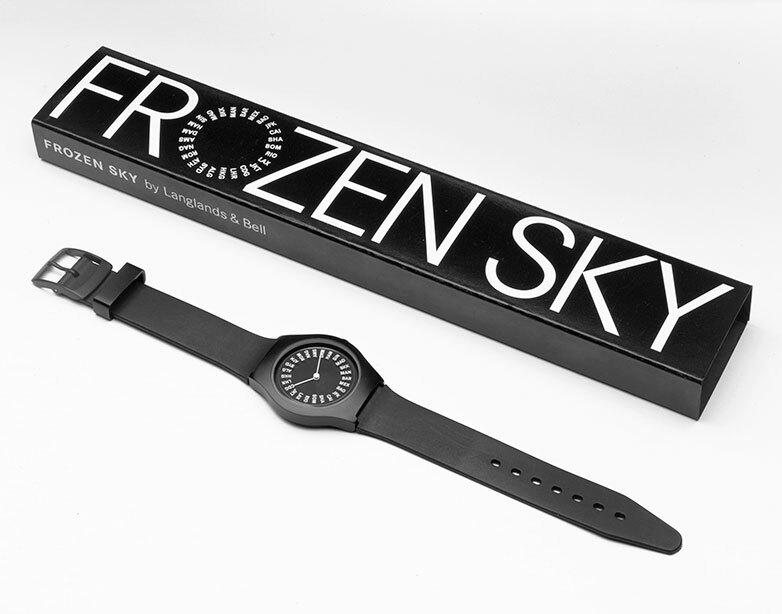 The watch is supplied in a clear presentation box within a printed slip case designed and signed by the artists. The stainless steel case-back is engraved: Frozen Sky Langlands & Bell + Edition number.